In this post, Senior Editor Stephen S. Power continues his quest to improve the global state of business book proposals. Read on to improve yours. Last month I wrote about the five things editors want to see in a book proposal. This month I’ll give you five elements and ideas I’d prefer not to see. Let me say upfront: I feel somewhat bad about writing this post. I strongly believe that writers shouldn’t self-reject; plus, like all editors, I’m primed to give everything a chance. I’d rather love and lose than never love at all, and I really hate losing. So, here are five elements that can hurt your chances with publishers—and ways each can be turned around in your favor. Please take them in the same spirit in which Mrs. Scalera told my AP English Literature class we should take her red pencil: not as blood, but as valentine. Sterling’s Gold. On Mad Men, Roger Sterling publishes a memoir about his life in advertising called Sterling’s Gold that he can’t even give away because no one cares about his career. Similarly, many business people want to write about their own careers, especially their secrets to success, but that success rarely comes with a waiting readership. Sadly, the vast majority of these books fail, even though they might be well-written and interesting. The irony, of course, is that Grove/Atlantic actually published the fictional book Sterling’s Gold because many people in the real world do care about Roger’s career. Turnaround: Instead of making yourself the subject of your book, write about a problem in your field that your target readers have and that you are best positioned to solve, given your expertise. “Change is happening, now faster than ever.” I reject any proposal that uses this cliché, often as an opener, because it smacks of alarmism and uncritical thinking. In addition, the change that is happening usually remains nebulous or so all encompassing as to be meaningless and, worse, unmarketable. Turnaround: Ask yourself: What, specifically, is changing (or soon will), what and who is causing the change, what specific problems is this change causing for others, and why are you the one to solve those problems? Specificity will give your proposal a better hook and a more clearly defined audience. For a model, turn to Rise of the Robots by Martin Ford, which is seriously alarming. Turnaround: Using Amazon’s “Customers Who Bought This Item Also Bought” feature, find the books that are most similar to yours in subject and approach and whose authors have platforms and credentials most similar to yours. Look at the books customers who bought those books also bought, and so on. This will quickly give you a list of 3-5 books that yours should be compared to in your proposal. Then revise your proposal as necessary to create a better, more saleable book. “This book is for everyone.” Which means it’s for no one, however long your bulleted list of potential audiences is. Turnaround. You may think your book is for managers, leaders, HR professionals, general business owners, entrepreneurs and students, but you have to pick one and the write the book for them alone. Let their concerns dominate and use examples relative to their businesses. This will also help stores shelve the book because the business section is divided up audience. If others come to the book, great—for instance, I’m not in advertising, but I frequently use something I learned from Ogilvy on Advertising—but want to start with a target audience. Cod liver oil. 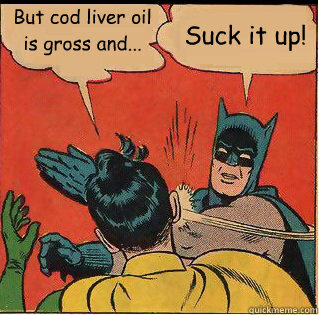 No one likes cod liver oil, however good it supposedly is for them. Similarly, no one will spend $25 for a prescriptive book simply because the author feels they should know, nay, must know its information. They’ll only buy the book if they both need the information and recognize their need for it. Unsurprisingly, academics make this argument most of all. Turnaround: If you have information that people should know, couch it in terms of their interests as opposed to your own, however different. The team is more important than any individual. It’s a fact of neuroscience: our brains are wired to think about the thoughts, feelings, and goals of other people. Working as a team to achieve desired outcomes makes people feel good about work. “For optimism to be strong, a cohesive team is vital,” Murphy declares. He urges business leaders to avoid relying on the usual suspects, the same few superstars, to handle high-profile projects. Doing good is good for business. It’s not just about philanthropy. When leaders adopt business practices that contribute to improving employees’ lives, business prospers. For example, BambooHR, a software development company based in Utah, has an antiworkaholic policy. The small start-up has found that when its team members have time to pursue personal interests, they are more productive and satisfied at work. “Implement a policy banning team members from emailing other about business on weekends,” Murphy suggests. Relationships with employees need to be richer. Relationships are central to cooperation, collaboration, and successful outcomes. Take, for instance, the remarkable 2014 events at Market Basket, a 73-store grocery chain based in Massachusetts. When the board of directors ousted the company’s CEO and steward, Arthur T. Demoulas, in favor of his bottom-line driven cousin, Arthur S. Demoulas, employees responded by orchestrating a massive boycott. Strong relationships between employees, suppliers, and customers resulted in a collaborative effort that restored a beloved CEO and saved a company. Work should align with purpose and meaning. Why does work matter to your team members? For workplace optimism to thrive, organizational leaders must strive to find the answer to that question and then continually invest in making sure that work remains meaningful. “A focus on financial motivators blinds leaders from helping employees do work that matters,” Murphy stresses. Leaders need to actualize human potential. Luck Companies, an aggregate business headquartered just outside of Richmond, Virginia, believes, to quote CEO Charlie Luck, that “all human beings have extraordinary potential to make a positive difference in the world.” For Luck, this belief shapes how its leaders treat one another, develop their associates, and spread the message globally. 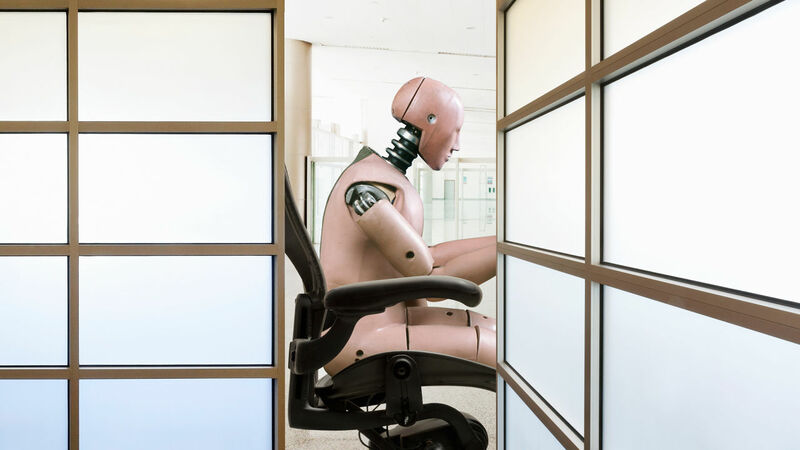 “Actualizing human potential puts the spirit into workplace optimism,” Murphy asserts, inspiring business leaders to put this belief into action. 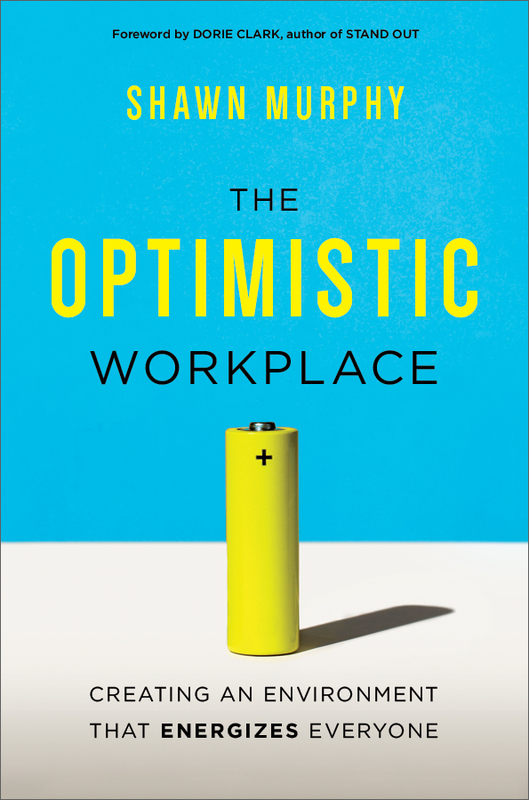 Adapted from THE OPTIMISTIC WORKPLACE: Creating an Environment That Energizes Everyone by Shawn Murphy (AMACOM October 2015). 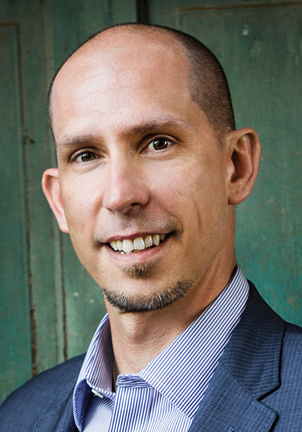 SHAWN MURPHY is a thought leader, inspirational speaker, and independent consultant recognized by Inc. magazine and The Huffington Post for his contributions to creating optimistic work climates and the type of leadership needed for them. He is the CEO and co-founder of Switch & Shift, an organization dedicated to developing and advancing human-centered organizational practices. Shawn has 20 years’ of experience working to cultivate optimism in workplace climates, as both a Fortune 100 company insider and an advisor to forward-thinking government agencies. When not consulting, he can often be found in the classroom teaching, speaking to audiences, or interviewing top thought leaders on his Work That Matters podcast. The Long Cut: Yes, it’s simply the opposite of the shortcut—strategically planning the longer walking route to a destination to increase time spent moving. You can take the Long Cut anywhere—to work, while shopping. Just by parking your car a little further from your destination, you can build in a round-trip of ten or more minutes of movement. The Phone Moment: Walk your talk! When you’re talking on your cell phone, get up and move around, go up and down stairs, or take a walk around the block. During the work day, you can even have a walking meeting over the phone. A movement break works wonders to free up the mind for creativity. Active Waiting: When your kids are playing organized sports or practicing karate, why sit around waiting? Walk around the perimeter of the playing field or, if your kids are taking an indoor class, the closest street. Consider asking another parent to join you. You don’t have to miss your child’s entire game or class. Do twenty minutes of Active Waiting and then come back and watch. The Couple’s Cruise: It’s lovely to walk, hand in hand, with your partner. Consider dinner and a walk instead of dinner and movie. If you have young kids, explore switching off with a neighbor or hire a sitter. A Couple’s Cruise before or after dinner can be very intimate—healthy for your relationship and your bodies. The Boogie Break: Need a break and energy boost? Whether in the privacy of your office or home, pick a song, put on earphones, and get down, get down, get down! This is an amazing way to get a lot of energy, loosen up, and lift your mood. Just think Ellen DeGeneres and start dancing! Family Fun: Tossing a ball, playing tag, swimming, skating—you can do all sorts of physical activities with family members. Family Fun can be as structured as a bike ride taken together as raucous as a backyard game of tetherball or as simple as a leisurely walk around the block to transition into nighttime. Consider pairing up a child and parent for special activities. It’s a great way to bond. Office Sprints: Working in an office doesn’t have to mean sitting all day. Get up from your chair and stretch periodically. Instead of taking the elevator, take the stairs. Or just use the stairs as an in-house gym any time you need quick a break. Instead of sitting at your desk, try standing up and working. Standing desks—and even very, very slow treadmills to use while standing and working—are becoming a popular option in a number of offices. Cleaning Calisthenics: Anyone who has ever pushed a vacuum knows that it provides exercise. Household chores count as valid physical movement, so take advantage of the opportunities doing them can present. For example: build in additional trips to the laundry room, carrying smaller loads to get more movement in. Count yourself lucky if you have stairs in your house! The Leisurely Stroll. Strolling—not power-walking, not counting the blocks or tracking your mileage, just enjoying the city—is relaxing and great exercise. Perfected by the Europeans, it’s a totally underappreciated activity that you can do alone or with others. Instead of meeting a friend to talk at a café, grab your coffee or tea to go and head out for a stroll. You can catch-up and window-shop. The Movement Snack. When you’re not quite ready for a meal but your stomach is growling, you reach for a snack to tide you over. You can do exactly the same thing with exercise. When your body is sending you the message to move but you don’t have the full thirty or forty minutes available, you can still grab a five- or ten-minute refresher. Grab a bite whenever you can! Remember, when it comes to movement for your health and well-being, everything counts! Adapted from NO SWEAT (AMACOM, June 2015). MICHELLE L. SEGAR is a behavioral sustainability scientist and Director of the Sport, Health, & Activity Research and Policy (SHARP) Center at the University of Michigan. She holds a Ph.D. in Psychology and Master’s degrees in Health Behavior and Kinesiology. A sought-after advisor, her expertise has been featured in The New York Times, Forbes, Elle, Prevention, and other major media.